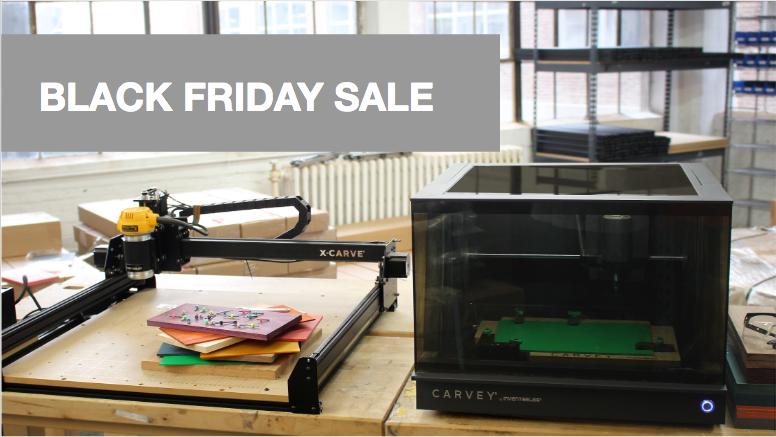 The Black Friday deals over at Inventables have already begun. As of today, many of their CNC machines are on sale and starting on 11/21 their materials and accessories will go on sale. The deals are applied automatically to everyone, you don't need to enter a code or anything. Machines: $250 off Carvey, $100 off X-Carve, $50 off X-Carve upgrade kit. Bits & Materials: Purchase $200 or more in bits and materials, receive a $50 gift card for a future purchase.